Two chiral synthetic β-dipeptides have been constructed, one with two trans-cyclobutane residues and the other with one trans and one cis fragment, 1 and 2, respectively, and investigated to get insight into the non-covalent interactions responsible for their self-assembly to form ordered aggregates, as well into parameters such as their morphology and size. Experimental evidence of the formation of these assemblies was provided by spectroscopy, microscopy and X-ray diffraction experiments that suggest the formation of nanoscale helical aggregates. This process involves a conformational change in the molecules of each dipeptide with respect to the preferred conformation of the isolated molecules in solution. 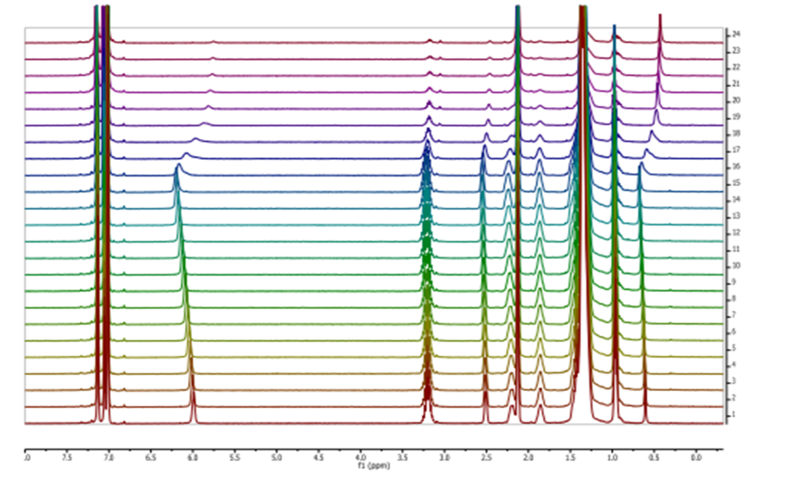 A high-resolution NMR spectroscopy study allowed the determination of the dynamics of the gelation process in [D8]toluene and the sol–gel transition temperature, which was around 270 K in this solvent at a concentration of 15 mM. 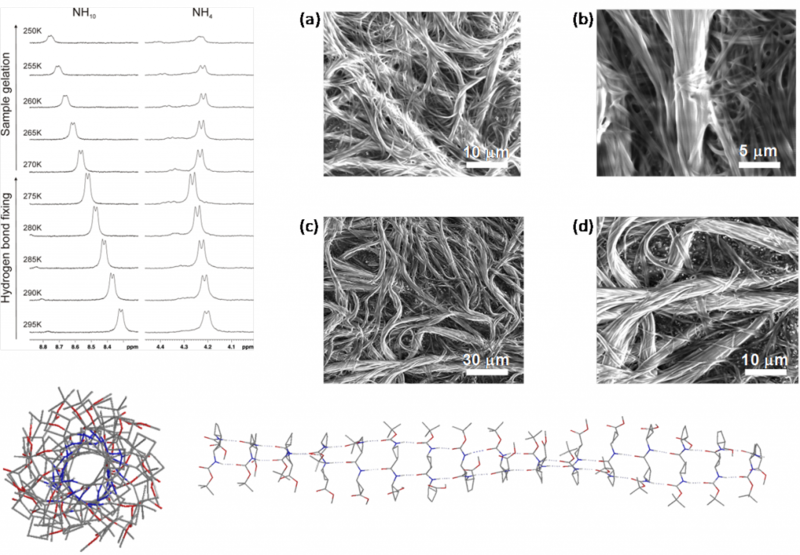 NMR spectroscopy experiments also provided some information about conformational changes involved in the sol–gel transition and also suggested a different gel packing for each dipeptide. These observations have been nicely explained by computational studies. 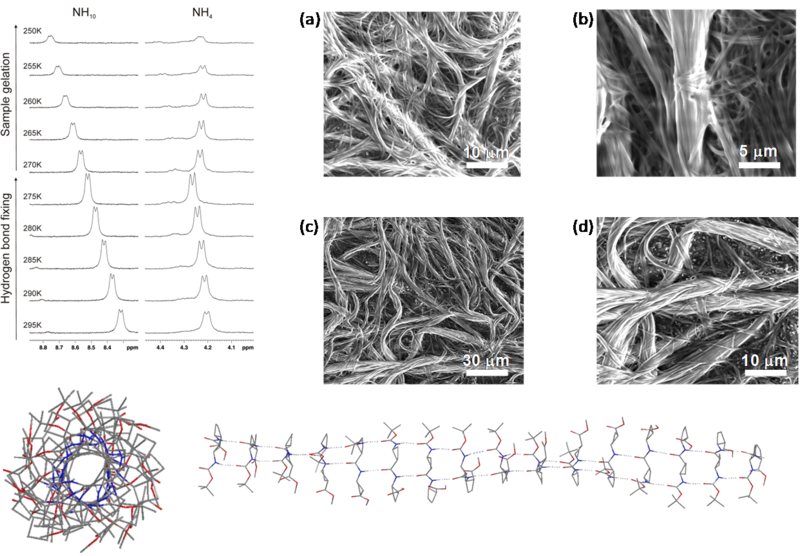 The self-assembly of the molecules has been modelled and suggested a head-to-head molecular arrangement for 1 and a head-to-tail arrangement for 2 to give helical structures corresponding to hydrogen-bonded single chains. 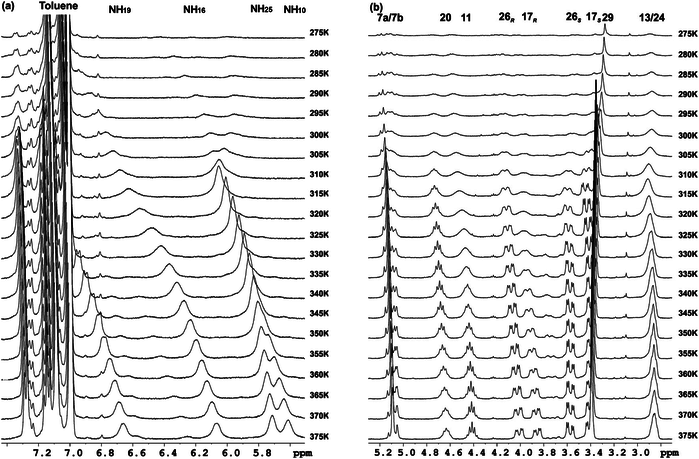 These chains interact with one another in an antiparallel way to afford bundles, the significant geometry parameters of which fit well to the main peaks observed in wide-angle X-ray diffraction spectra of the aggregates in the solid state.